At BEST Autocentres we understand the importance of regular inspection and maintenance of your brakes. All of our centres at Winchester, Eastleigh and Totton have fully qualified brake technicians who will do a free brake inspection if required. Whether you drive a car or van , vehicle braking systems involve many different components that work together to help stop your vehicle. These components include master cylinder, servo, callipers, brake fluid, brake cylinders, brake drums, brake pads and brake shoes. Some newer vehicles even have electronic braking systems. 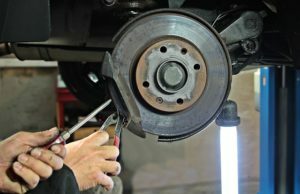 Regular brake checks can identify a problem before it begins to impact on your braking efficiency and replacing brake friction before they get too bad can save the cost of replacing brake discs prematurely. Our free brake checks come with no obligation and you can be assured that our “honesty is the BEST policy” advice will mean that we will never oversell on this vital element of your car safety.